Note: This post is WAY overdue. We left from Toronto International Airport about a week after I graduated from Buffalo State with my Nutrition and Dietetics degree. Andrew is quite the photographer (for real) and I made sure to get some shots with him in action. 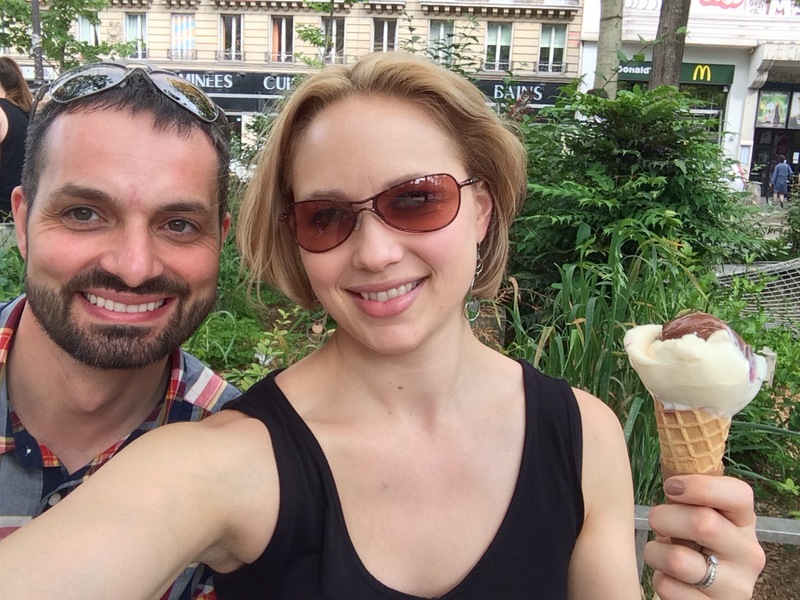 While in the city, we did lots of sightseeing, including a trip to the Louvre, a chateau where we got to walk the grounds, see it lit up with hundreds of candles at night and a fireworks show, as well as all the other ‘Parisian’ things, like lunches at a sidewalk cafe and many, many museums. 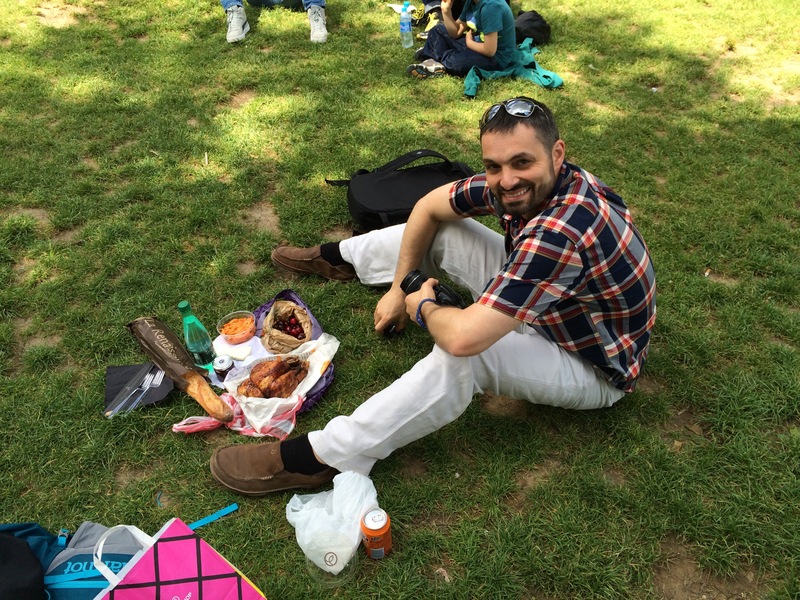 One of our favorite things to do is buy ingredients for a picnic lunch and sit down somewhere surrounded by locals. Here we are, behind the giant Sacre Coeur church (Basilica of the Sacred Heart), lunching on cherries, a baguette and a roasted chicken. Gelato is and ESSENTIAL part of an European vacation. On a daily basis. 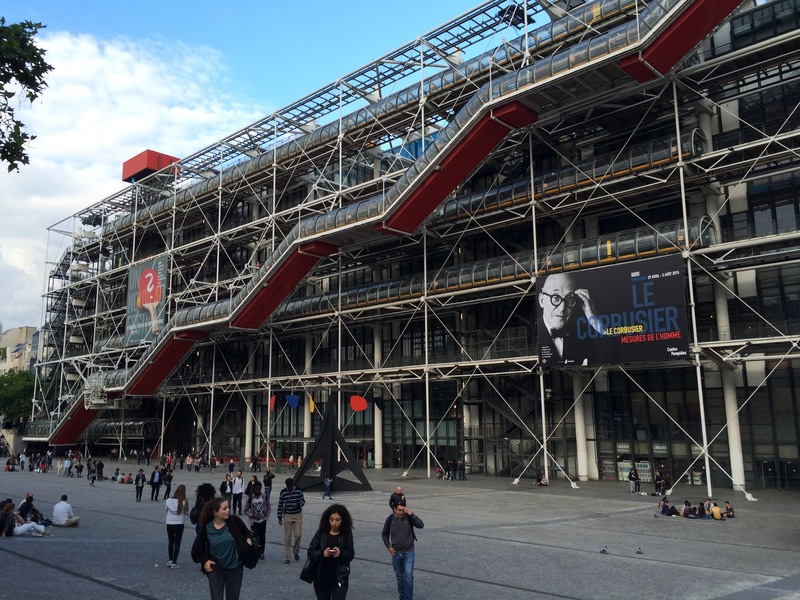 The Centre Pompidou, which is a modern art museum and one of my favorites. 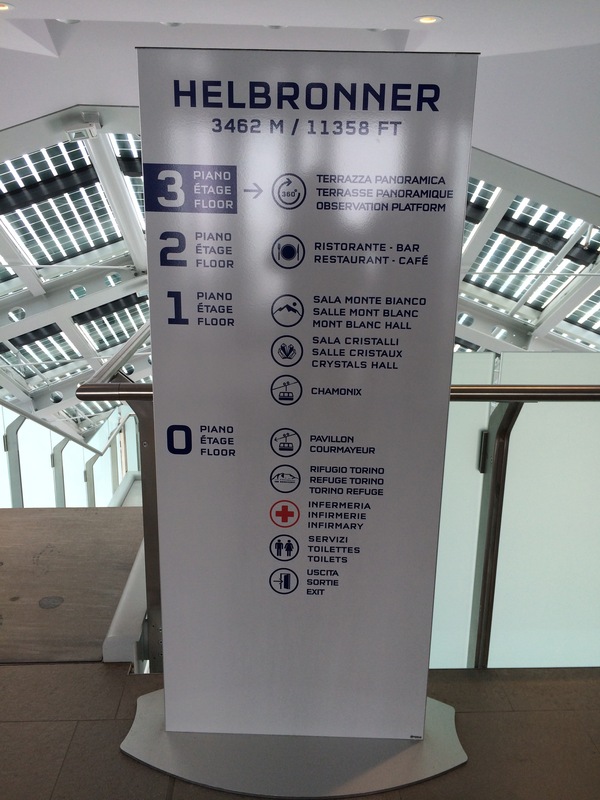 Sadly, not all the collections were open at the time of our visit…guess we’ll just have to go back! 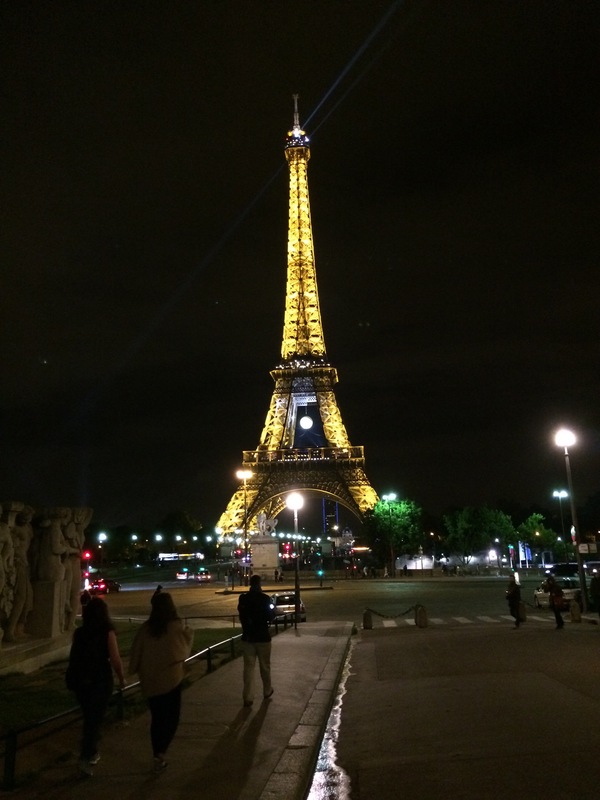 The Eiffel Tower at night. Truly one of the most amazing sights you could ever see. Macarons from Gerard Mulot in Paris. 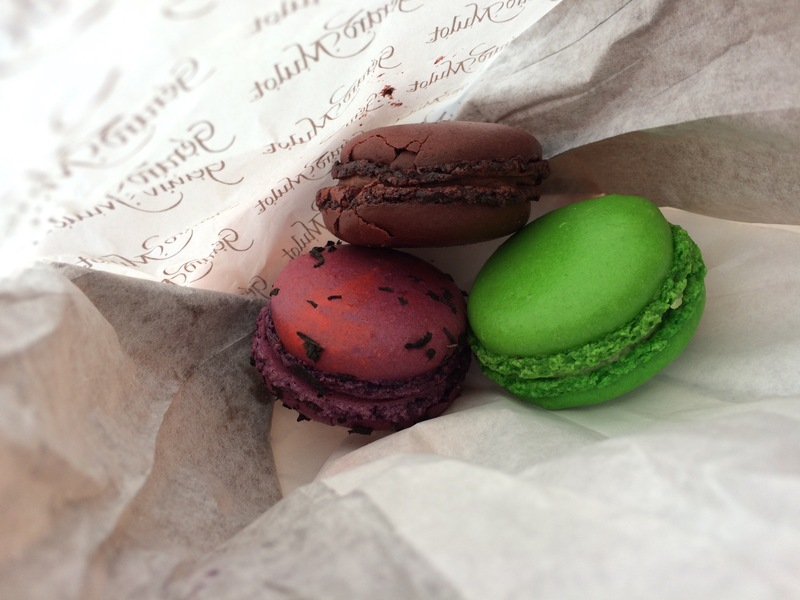 I don’t care whether they’re from Mulot or Laduree–they’re delicious. 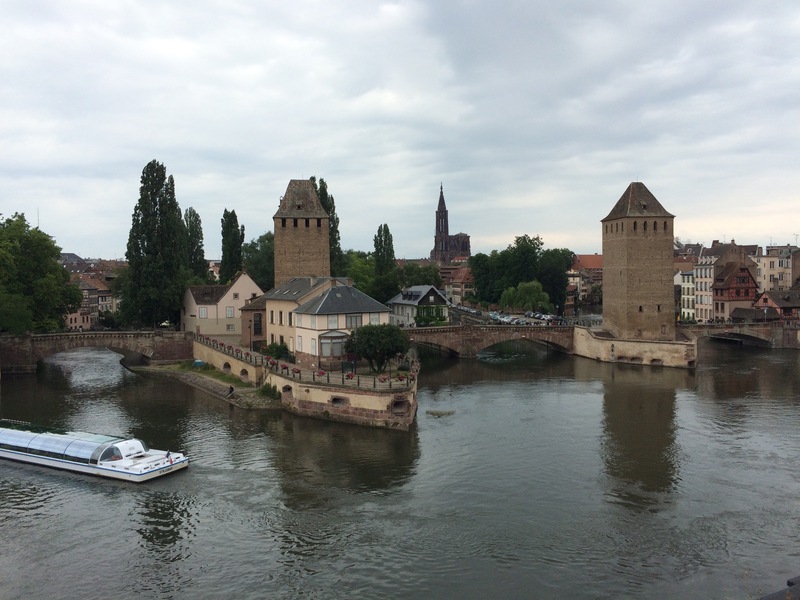 After leaving Paris, we took a train to Rouen where we rented our car. 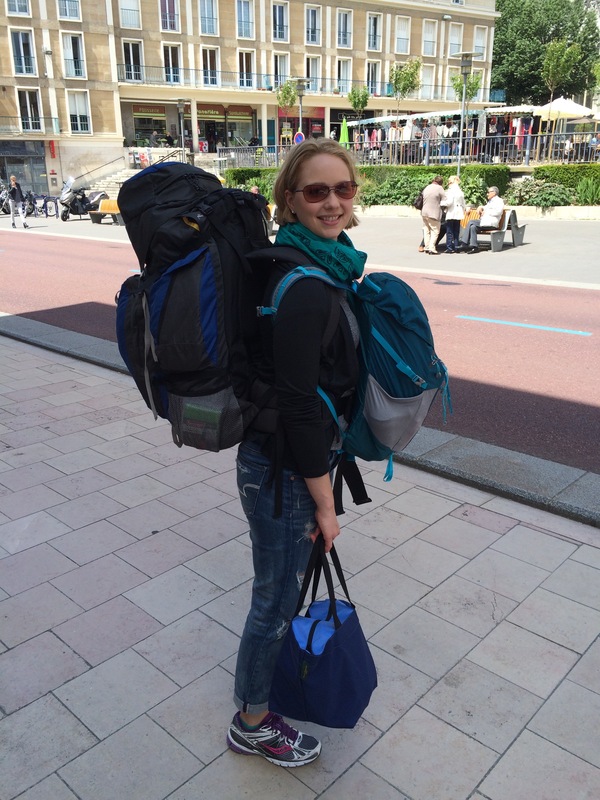 This was our first trip not relying solely on public transport and we loved it. (At least I did.) 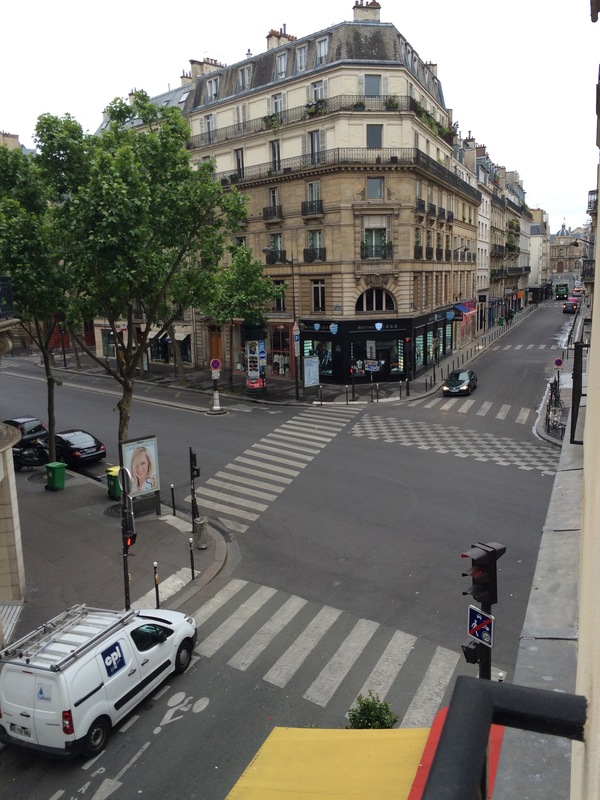 Andrew did an excellent job getting the gist of European cars and traffic signs, and I did my best to navigate. Thankfully, Andrew loaded our GPS with our entire itinerary before we left, so all we had to do was select each destination. I cannot even tell you how much that helped. Not only did it save time, it may have saved our marriage vacation–can you imagine us fighting over not finding a destination in the GPS every time we went somewhere?? 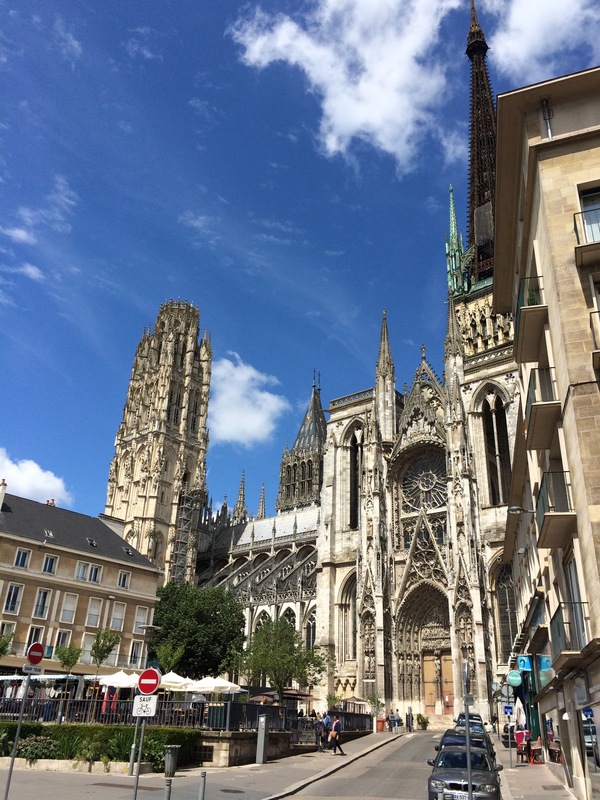 Rouen is where Joan of Arc was burned at the stake. Rouen is in the north of France, in Normandy. 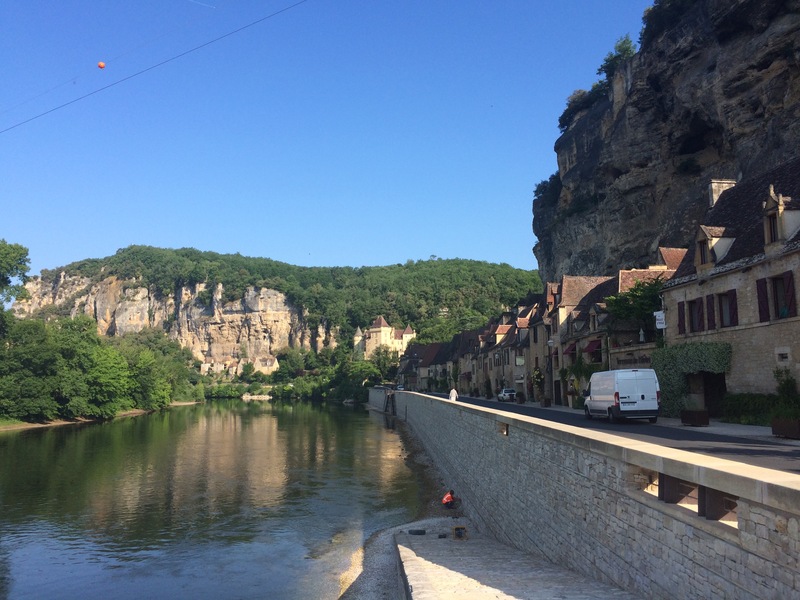 Our trip basically took us counter-clockwise around France, started in the north and moving west, then south-central, then southeast and back north again. 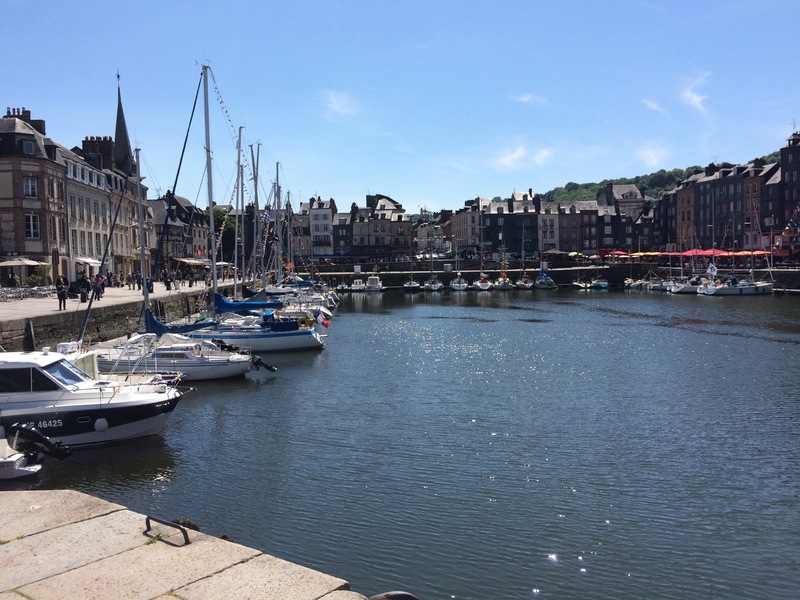 From Rouen, we drove to Honfleur. The village surrounds a little basin on three sides and we had beautiful weather for walking and dining. 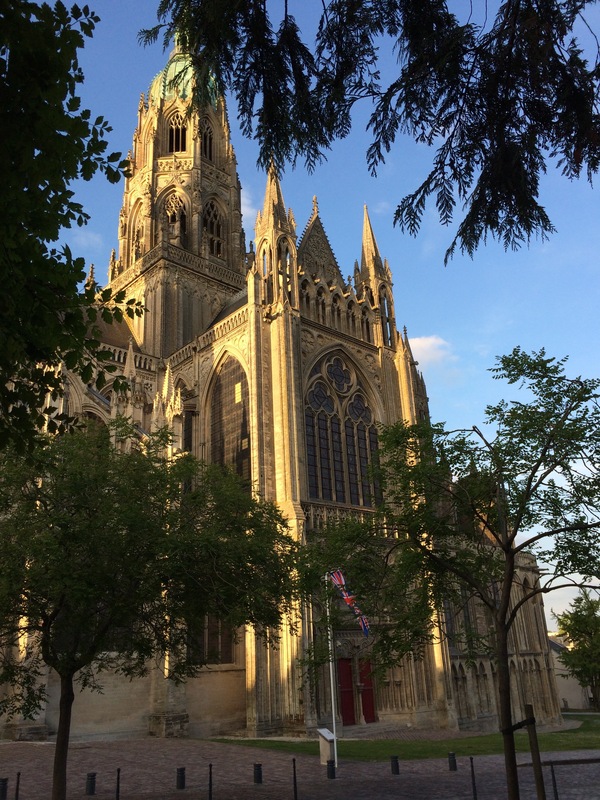 Honfleur is home to Saint Catherine’s Church, which is the largest church made of wood in France. 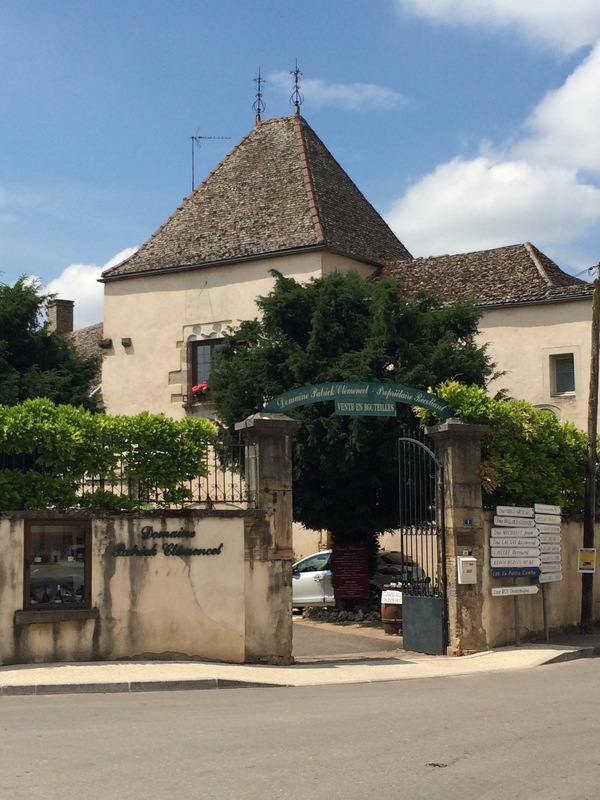 Next, we headed to Bayeux, home home of the Bayeux Tapestry, which is a VERY long tapestry, embroidered by nuns, that shows the events leading up to the Norman conquest of England. Very famous. When we travel, we often stay in small bed & breadfast-type places, or hostels, as opposed to what we would call a ‘hotel’ here in the states. 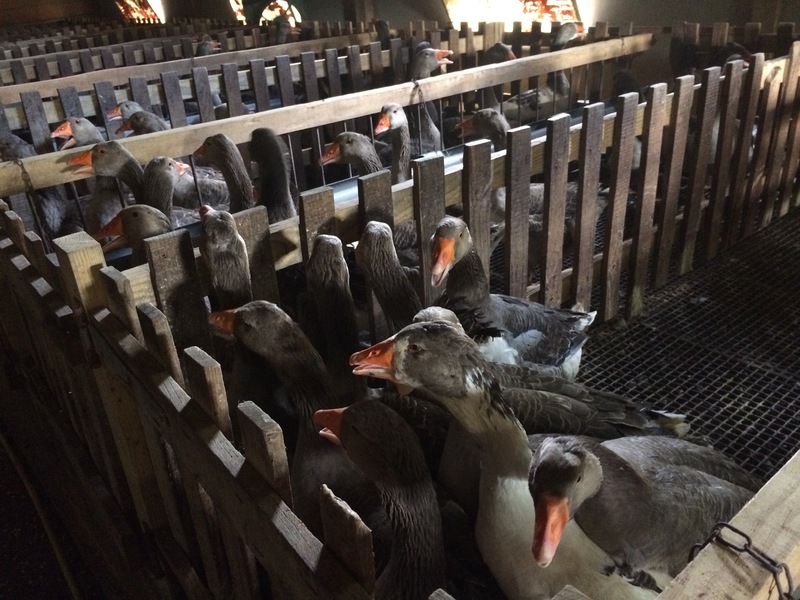 Check out our bed! 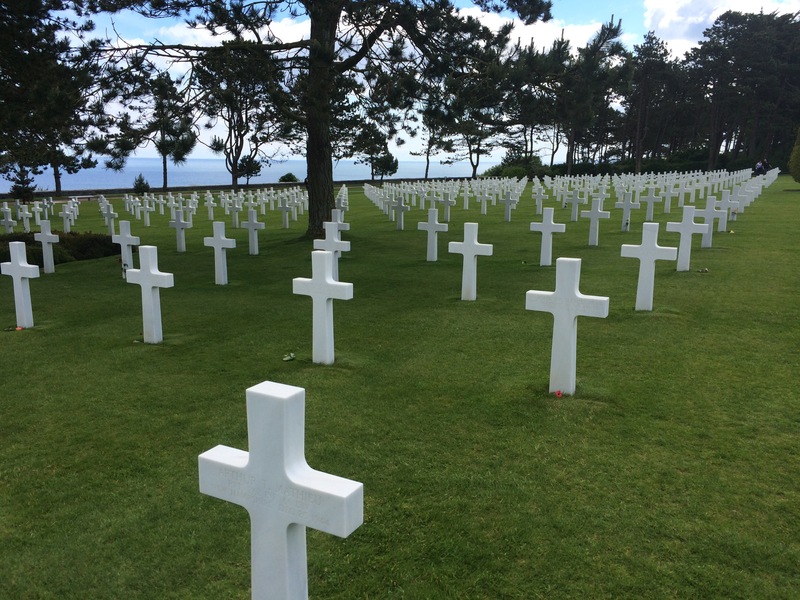 While in Normandy (where we had very good weather, BTW), we stopped at the D-Day Beaches and American Cemetery and other sights. Breathtaking. Emotional. Moving. 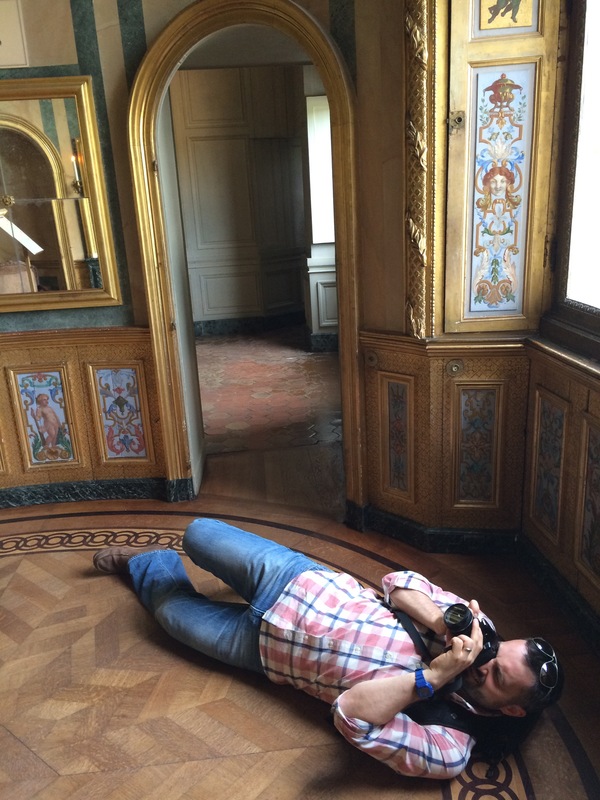 I’m not usually one of those read-everything-in-sight at museums, but this one was different. I could have stayed all day. Their written descriptions, minute-by-minute timeline, displays and footage are incredible. While in Normandy, we also saw Mont St. Michel, and I can’t believe I don’t have a photo in here of that! It’s basically a fortified island famous for the tides that used to prevent access during certain times of the day. Read more about it here. 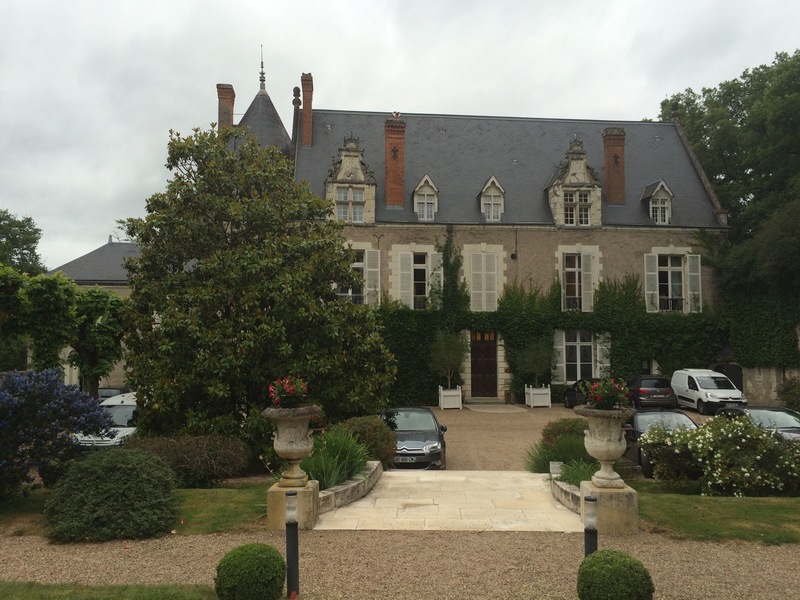 After Normandy, we headed south to the Loire Valley, we splurged and stayed at the Chateau de Pray. Their Michelin-starred restaurant was perhaps the best meal of our lives. It was so nice Andrew didn’t even bring his camera, so (sadly) there are no photos, but it was the most memorable dining experience of our lives. Think little bits and bites of barely-recognizable foods that tasted so unique and delicious you could identify everything in it, but was unlike anything you’d ever had. And that was just the pre-appetizer ‘amuse bouche.’ Four hours from start to finish. The servers do everything but feed you; I don’t think we poured our own wine or even had to LOOK like we needed something before our waiter was at our service. 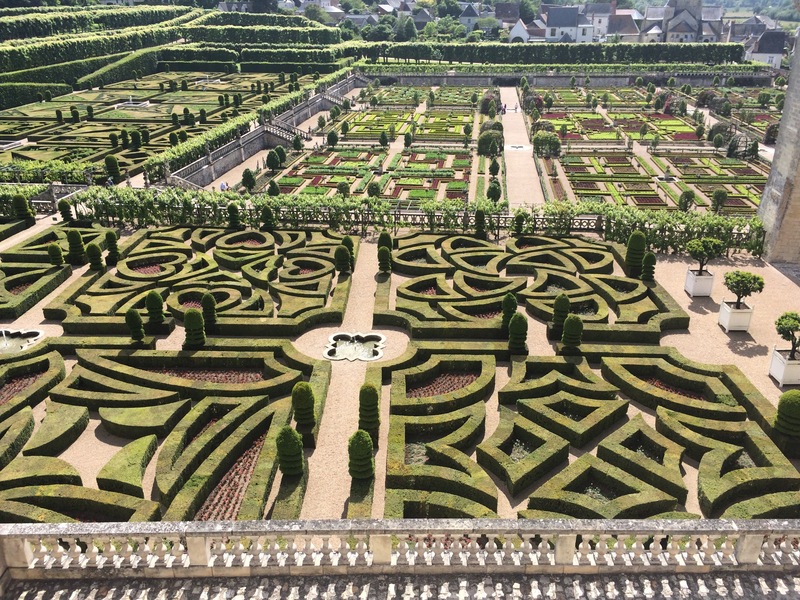 Here’s a garden at Chateau Villandry: From the Loire we went to the Dordogne River Valley, which is known for its scenic topography, prehistoric caves and foie gras. 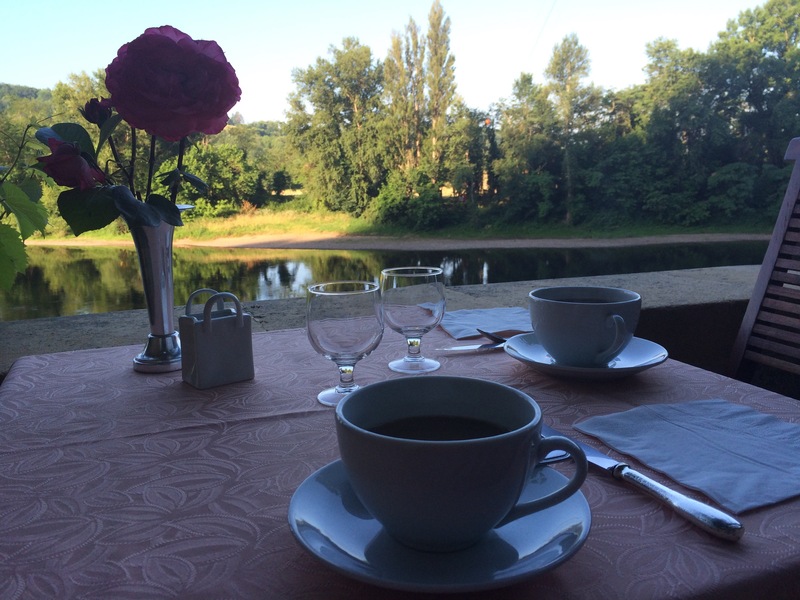 We stayed at La Roque Gageac, which made us fall in love with France all over again. 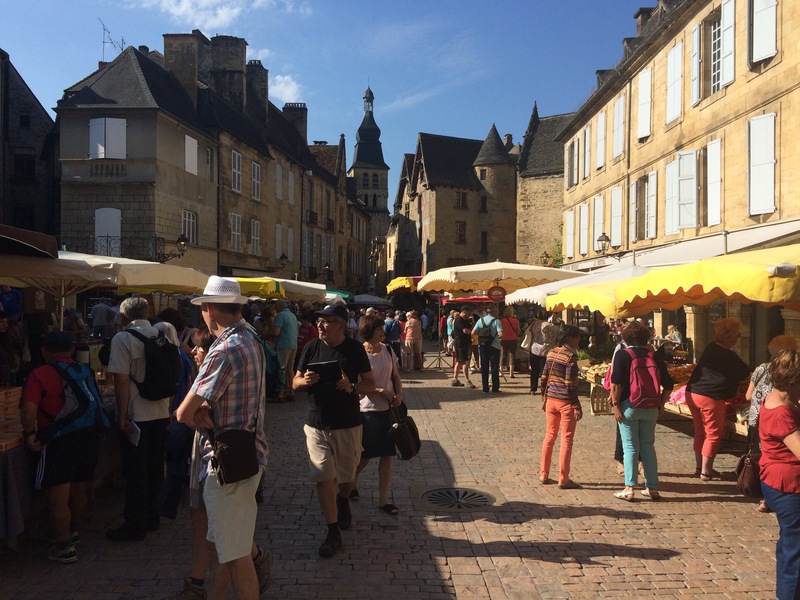 One of the highlights of the Dordogne is visiting the market at Sarlat. Our hotel in La Roque Gageac overlooked the river and we dined multiple times with this view: In addition to canoeing along the river one afternoon, we also visited a foie gras ‘farm.’ We were able to watch one of the feedings (definitely an experience–no ducks were harmed in the process) and bought some tins of foie gras to take home. 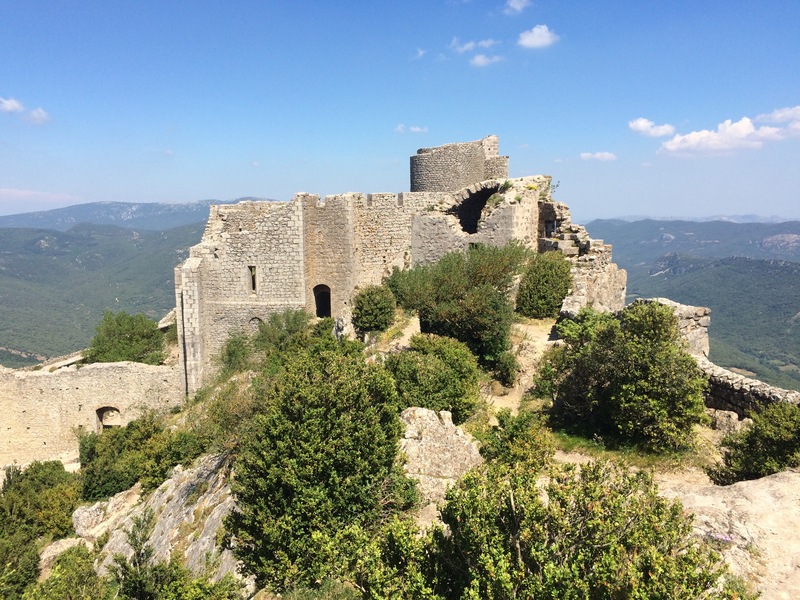 We climbed high in the mountains (in our car) and then climbed more on foot to reach Peyrepertuse, a Cathar castle in the Pyrenees. We were SO HIGH. And people were letting their children run wild all over the place. Andrew and I joked that if this site were here in America, there would be guard rails all over the place, someone would die every year and there would be a lawsuit. 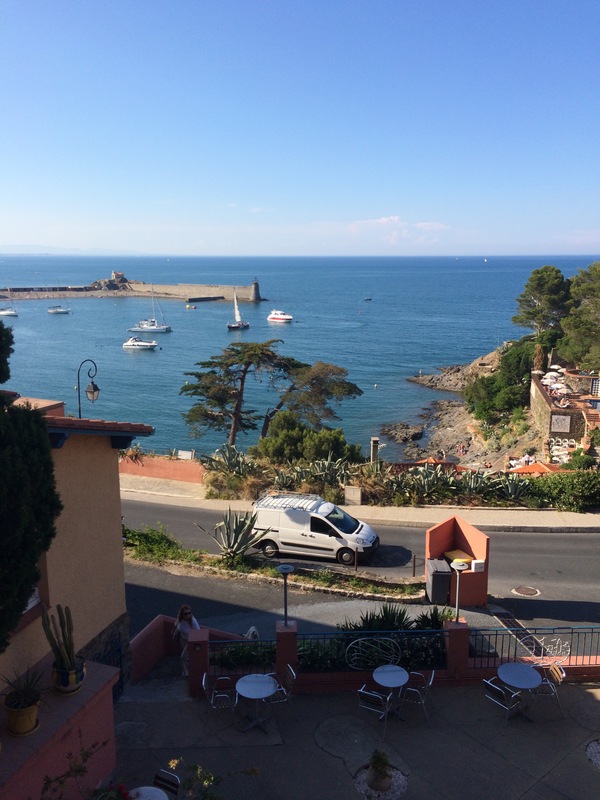 From there we headed south to have a ‘vacation from our vacation’ in Collioure, which is close to Spain. Swimming in the Mediterranean is phenomenal (you can see right down to the bottom!) but beaching it while traveling is always problematic–how do you get a towel? What about sunscreen? Will anyone steal your stuff while you’re in the water? We managed, although the rocks on my feet were particularly uncomfortable. And we did have the most excellent paella bought at the market minutes before it shut down for the afternoon. 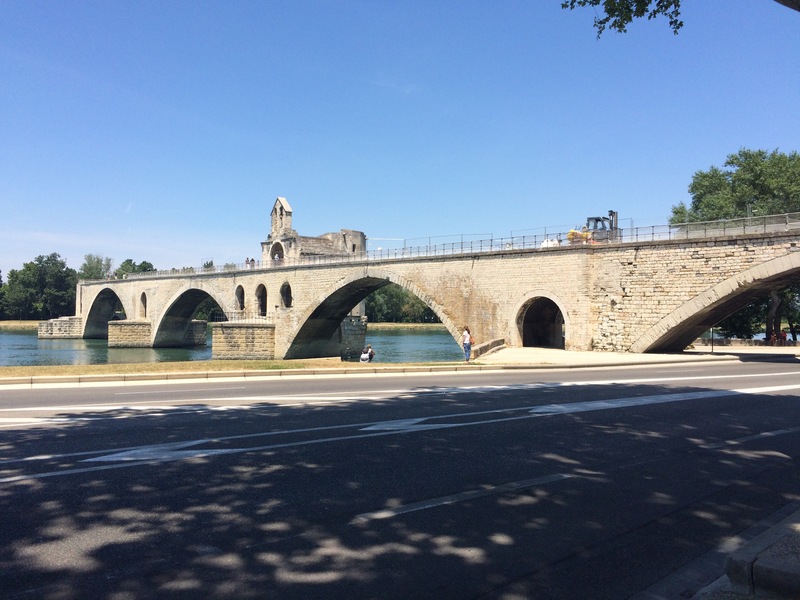 We swung into Avignon, where we saw Pont St Benezet, a famous medieval bridge. 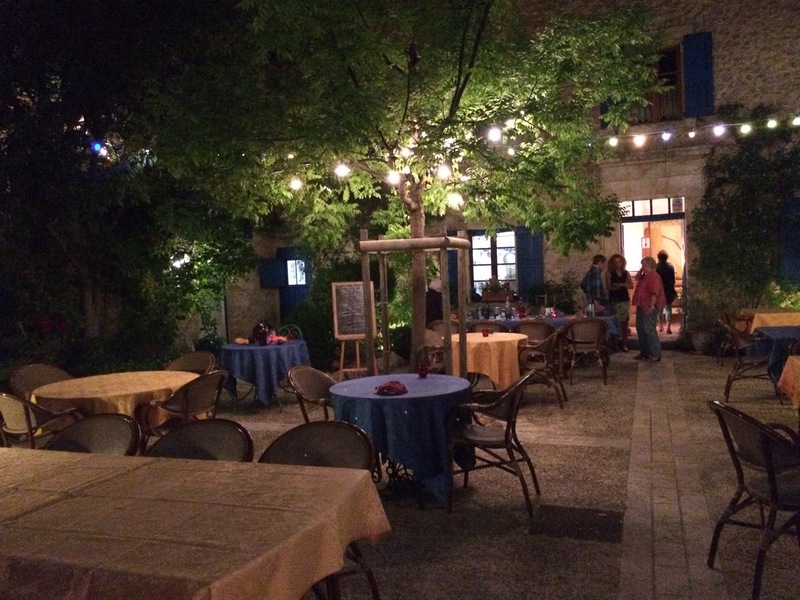 We spent a few days in Provence, where we fell in love with our b &b (L’Ecole Buissonniere) and dined at La Bastide Bleue. 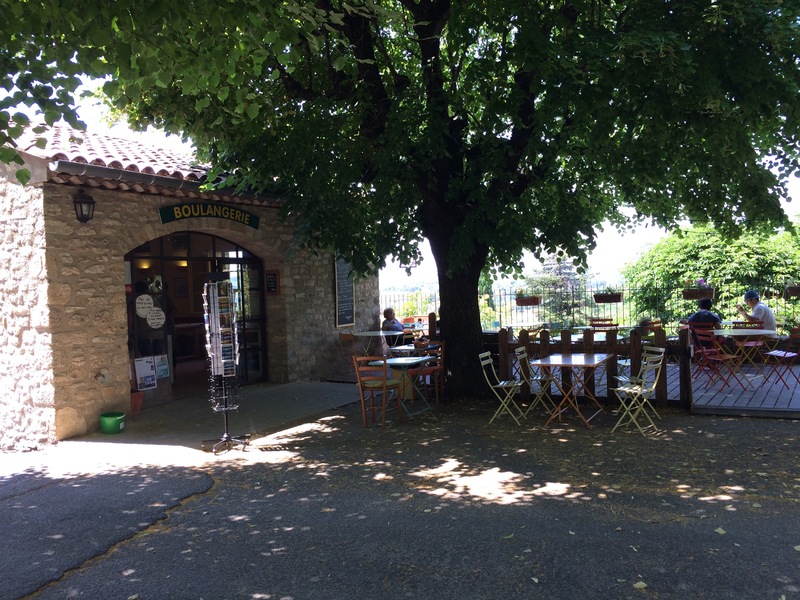 Leaving Seguret, we stopped at a little cafe in Faucon to have lunch: Our next stop was Beaune (pronounced like ‘bone’), in the Burgundy region, where we enjoyed sightseeing and lots of wine, including buying some to bring home with us. Annecy is in the French Alps and is located at the northern end of Lake Annecy. We rented bikes and took a boat tour around the lake. It seemed like the kind of place you’d want to rent a house for a week for a vacation. 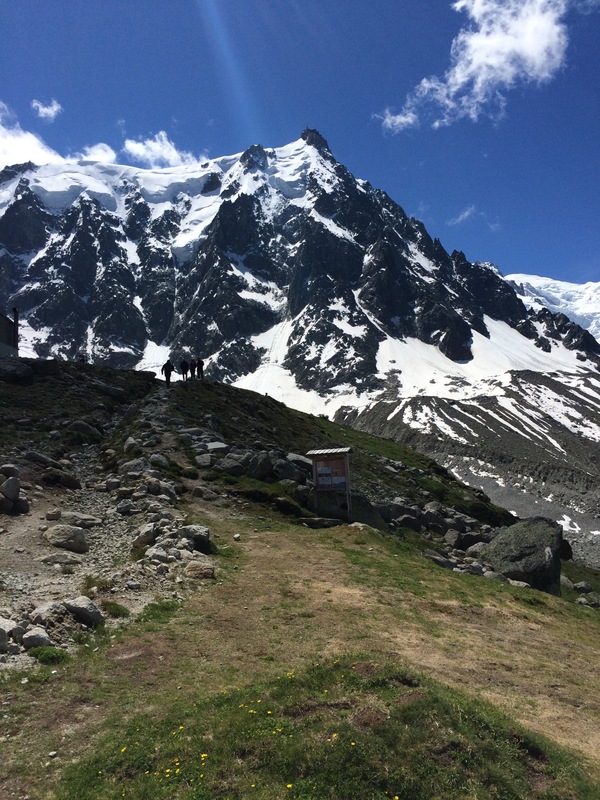 The French Alps were one of my favorite stops on the trip. 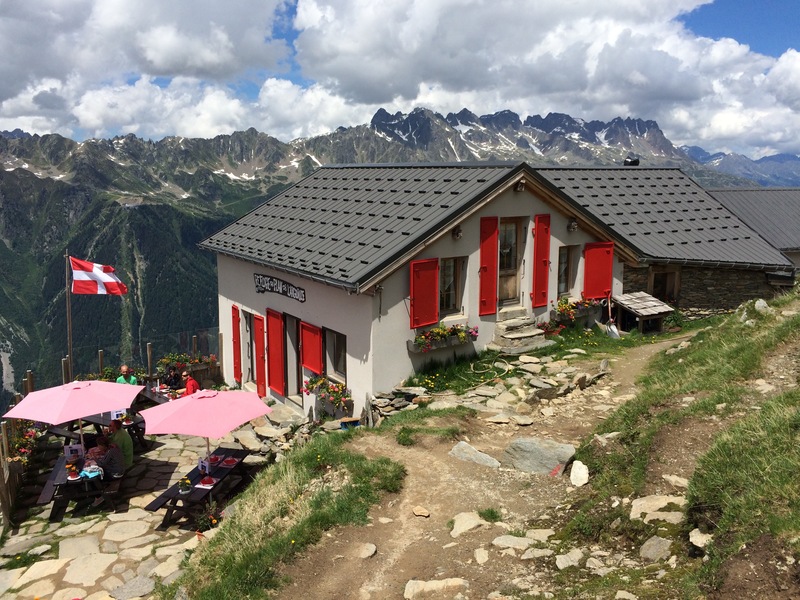 Chamonix, the little village below the Alps and a home base for climbers, was both quaint and a bit metropolitan. 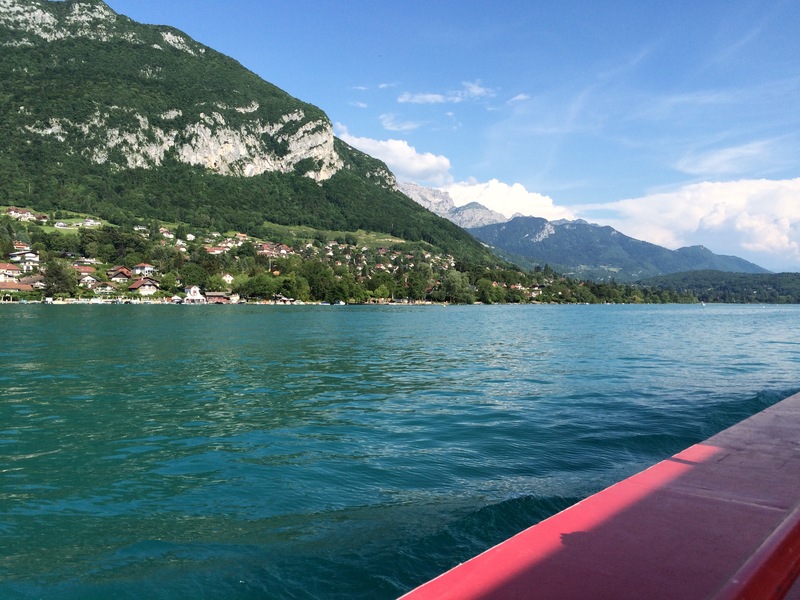 It’s located where France, Switzerland and Italy meet; in fact, we drove through Switzerland to get there from Annecy. 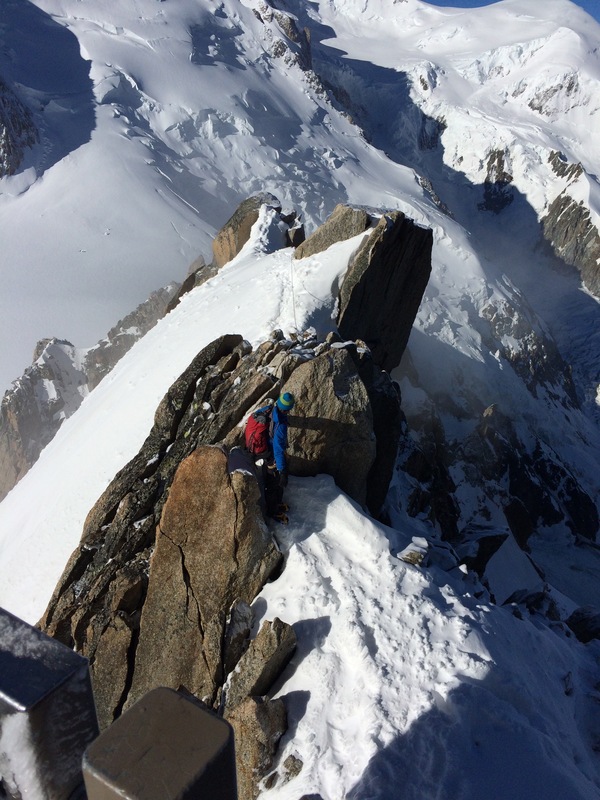 You could buy top-of-the-line climbing gear and outdoor apparel, yet find a hold-in-the-wall bistro for a bite and some beer with locals. 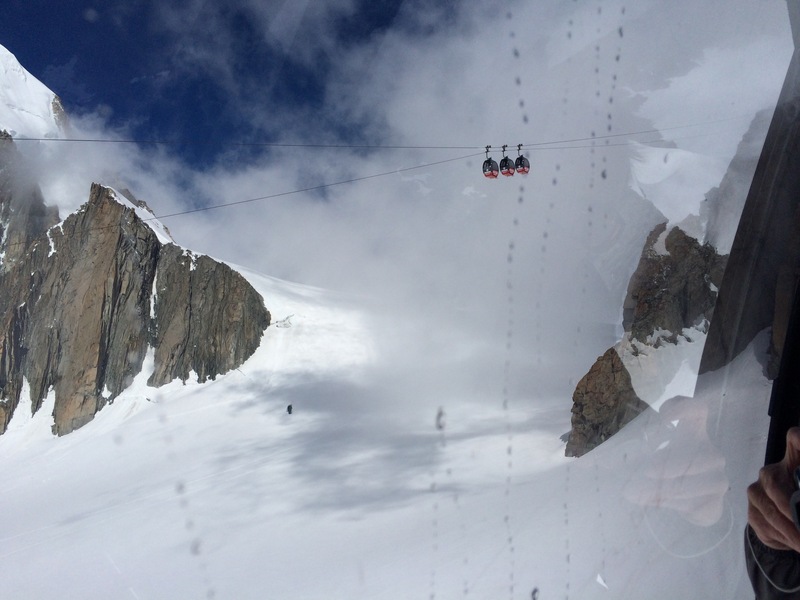 On our first day, we took the cable car up half-way up and then hiked from there to the glacier. 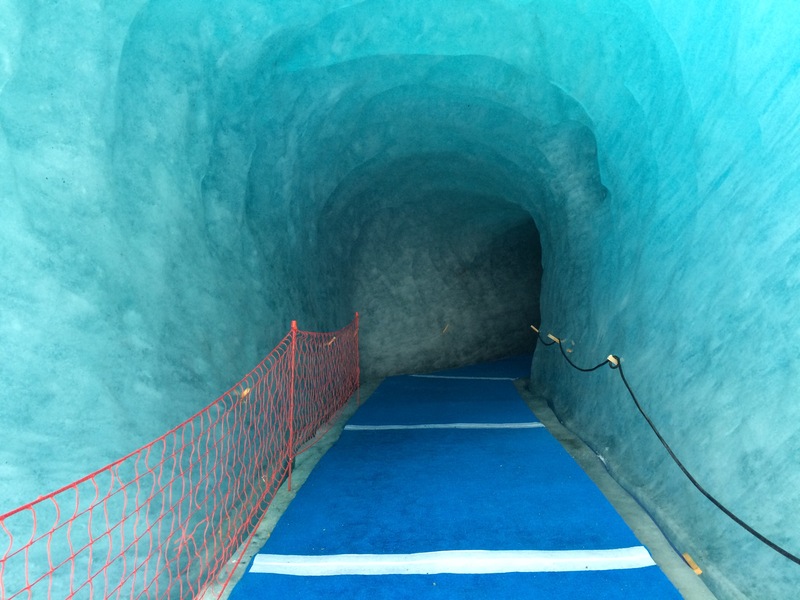 Glaciers really look blue and we were able to walk around inside. Crazy! 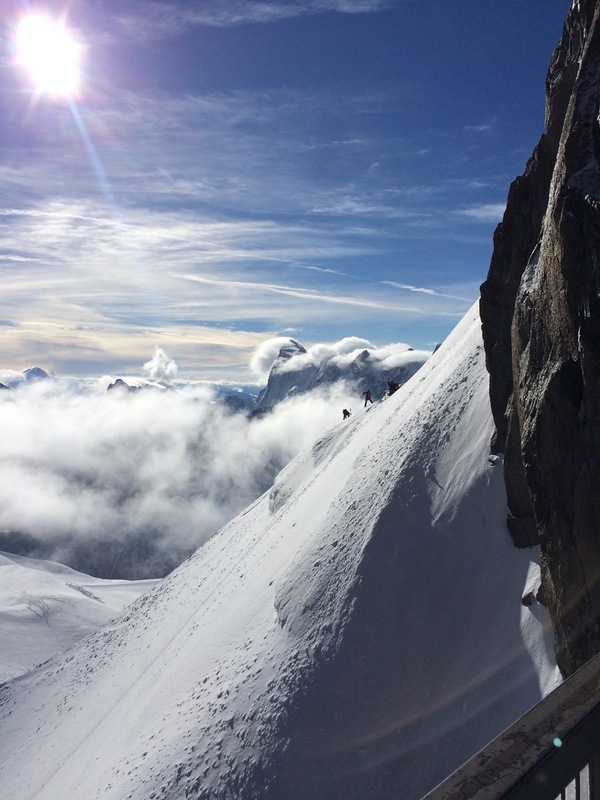 The next day, we got up SUPER early and were blessed with good weather (if it’s cloudy, it’s not even worth going up) and went all the way to the top of the Aiguille du Midi observational deck. Other than in an airplane, this was the first time I’ve been above the clouds and it was absolutely breathtaking. 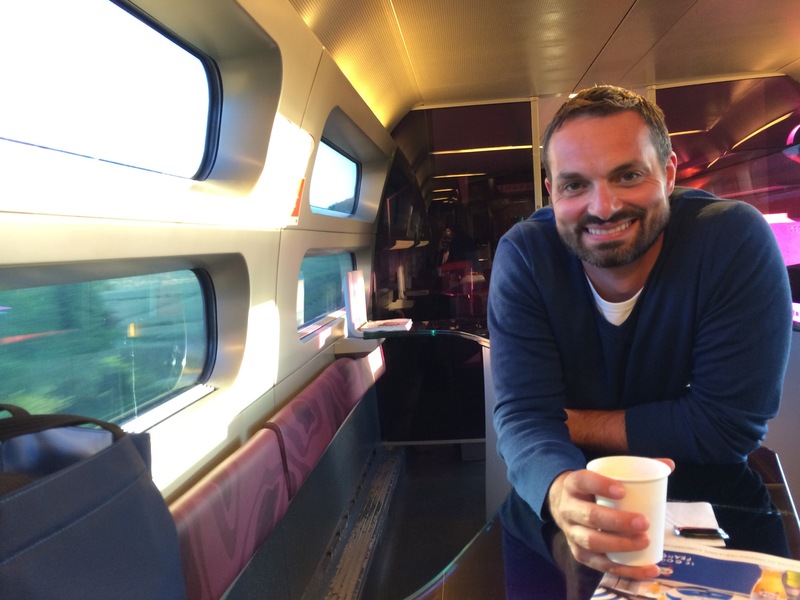 Perhaps the most amazing travel experience of my life so far. 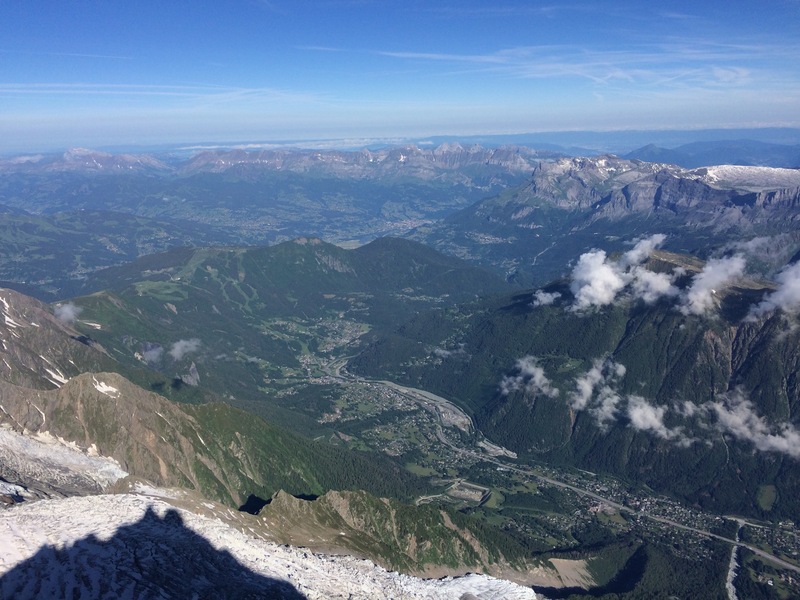 I couldn’t believe how high up we were, the thinness of the air–we were truly up above it all at the tops of mountains. 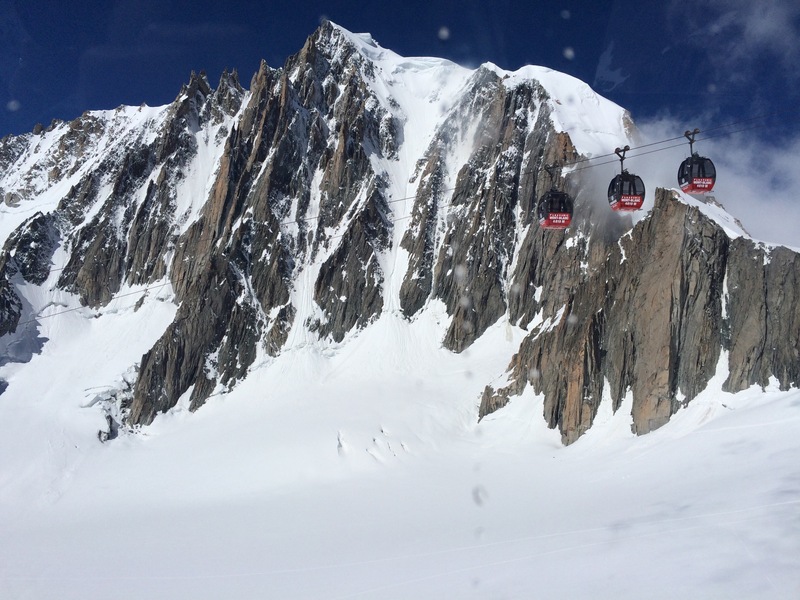 In fact, Aiguille du Midi is the starting point for climbers who ascend Mont Blanc, which is the highest peak in Europe. 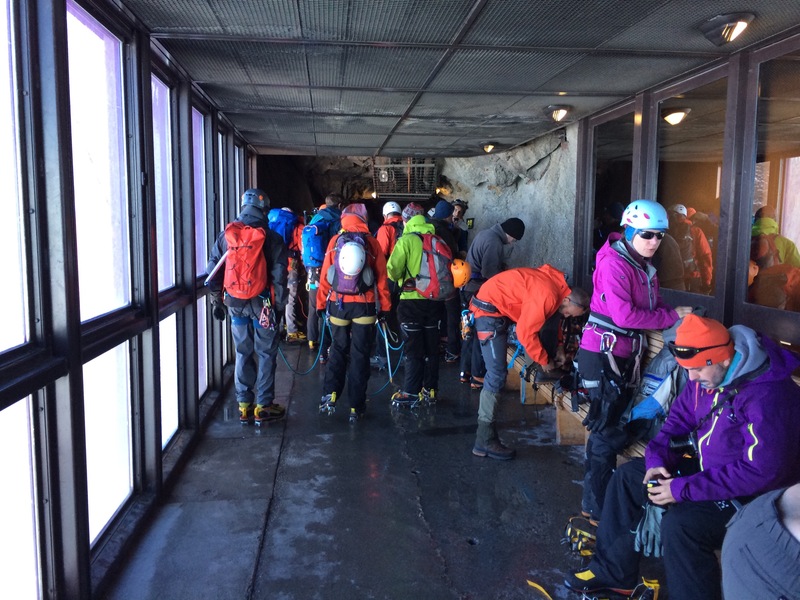 From Aiguille du Midi, we hopped on another cable car and rode over glaciers to… …Helbronner station in ITALY. 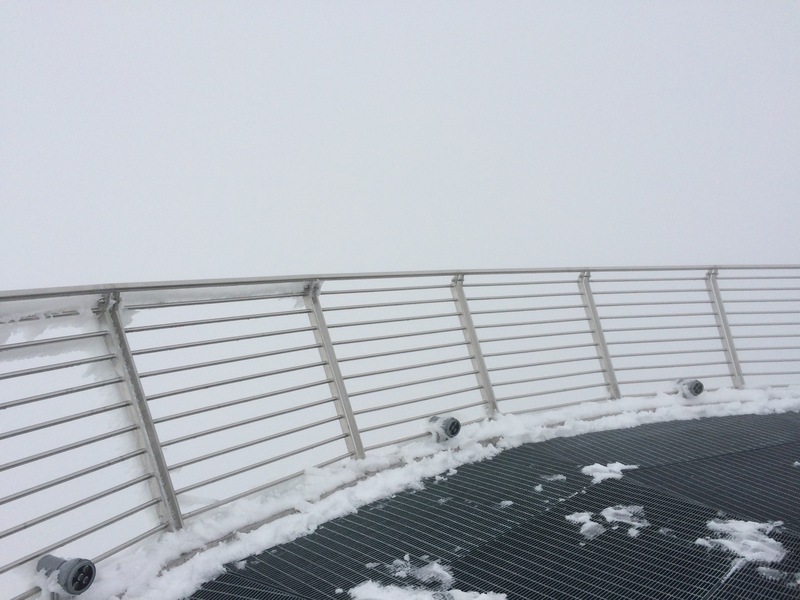 Unfortunately, Helbronner was experiencing white-out conditions, so no great views from here. So we grabbed a cappuccino. In Italy. 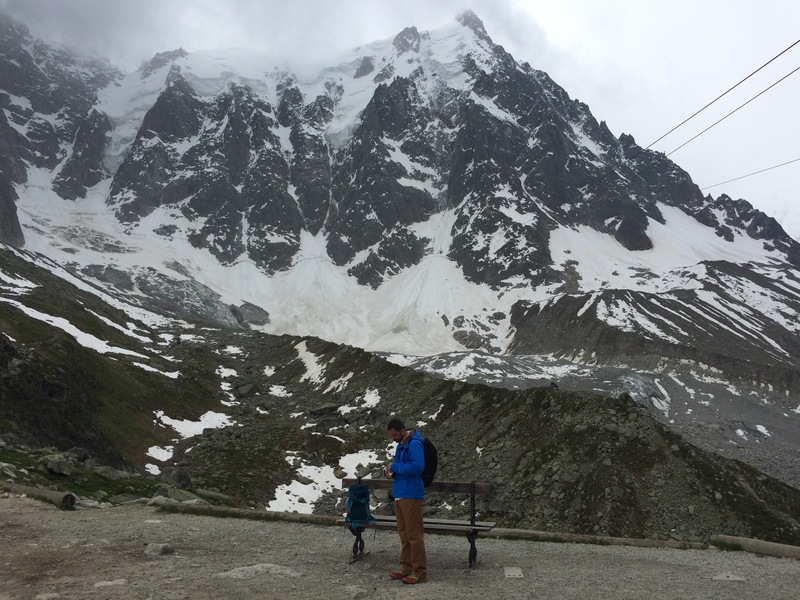 After taking the cable car back to Aiguille and then riding the other cable car halfway down, we decided to grab lunch at one (of the few!) mountainside hostels. These hostels are mostly designed for hard-core climbers who have to get up to the mountain at wee hours, and are minimally (but surprisingly well) equipped. I remember eating a giant salad topped with olives and cheese and melon and salmon, and then had a piece of homemade blueberry pie. And wine. 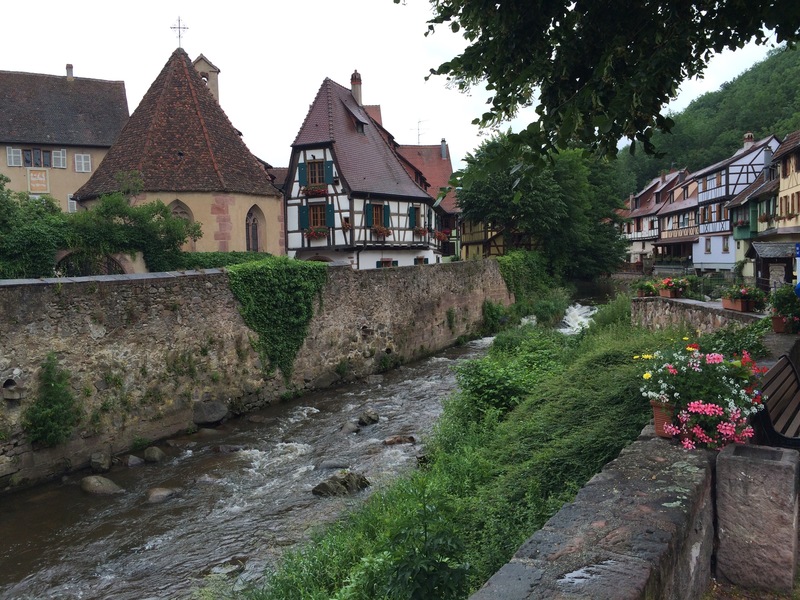 We stayed in Eguisheim in the Alsace region, which is also known for its wine. Also for the storks that make nests atop their highest peaks. 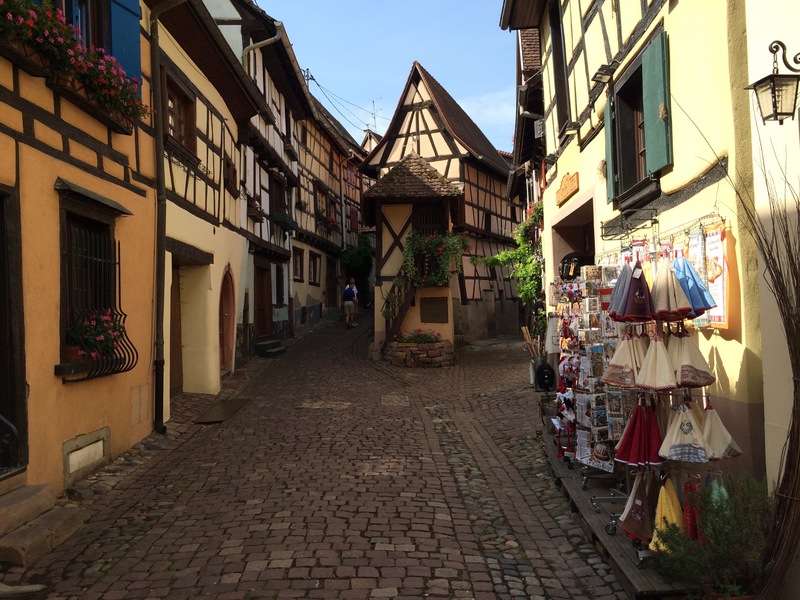 Check out the postcard-worthy photo below…Goggle ‘Eguisheim’ and you’ll see many like it. Our hotel room windows are the ones in the upper left corner with the blue windows. 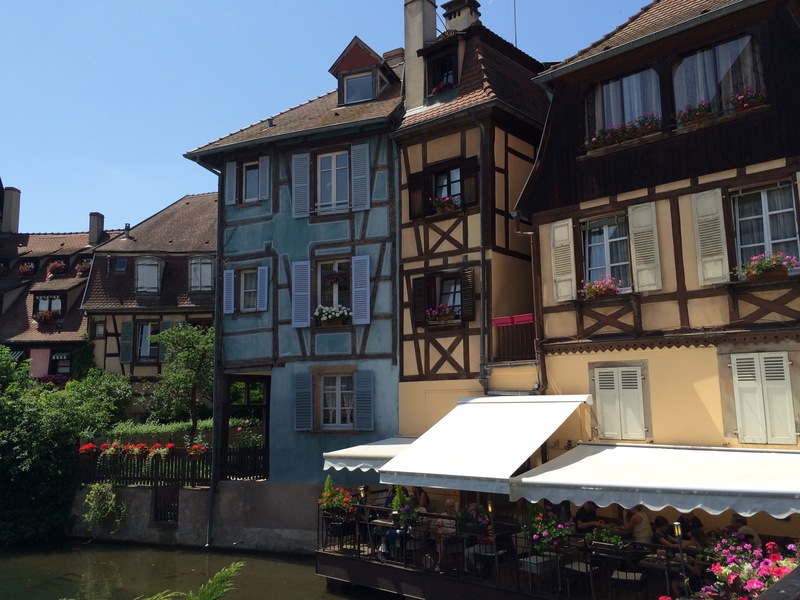 Colmar, which is also in Alsace and super quaint: Kaysersburg, another super quaint village in Alsace: Our last true stop was Strasbourg, which is on the eastern edge of France on the border with Germany. 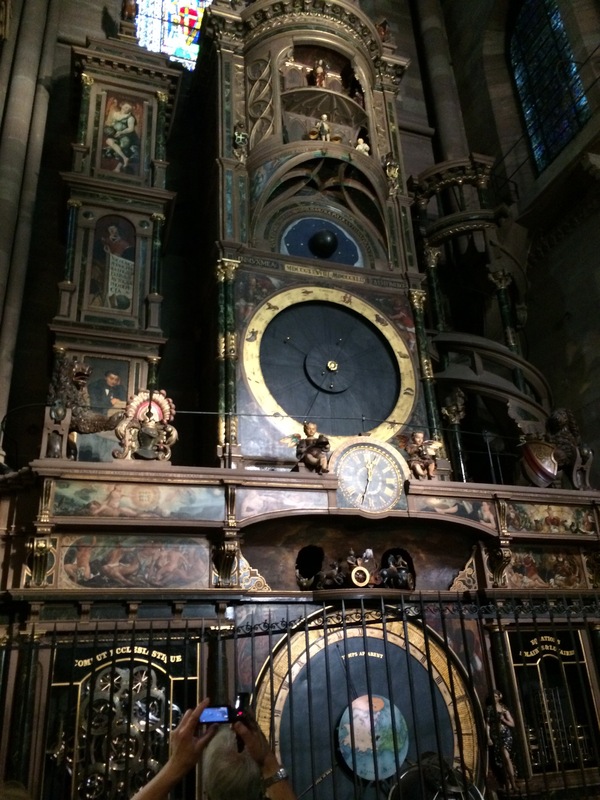 It is most famous for the gothic cathedral that houses the astronomical clock. 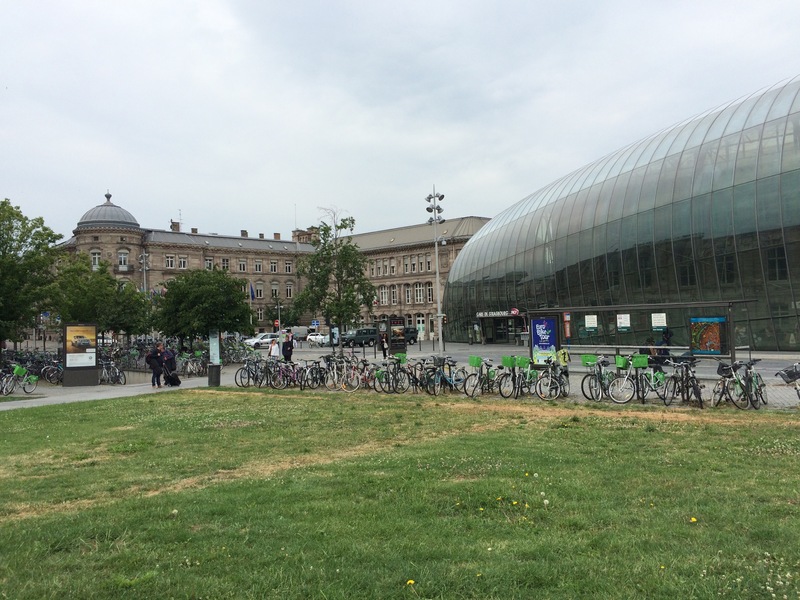 We returned our car in Strasbourg, checked our giant bags for our flight home and took a train to Paris. 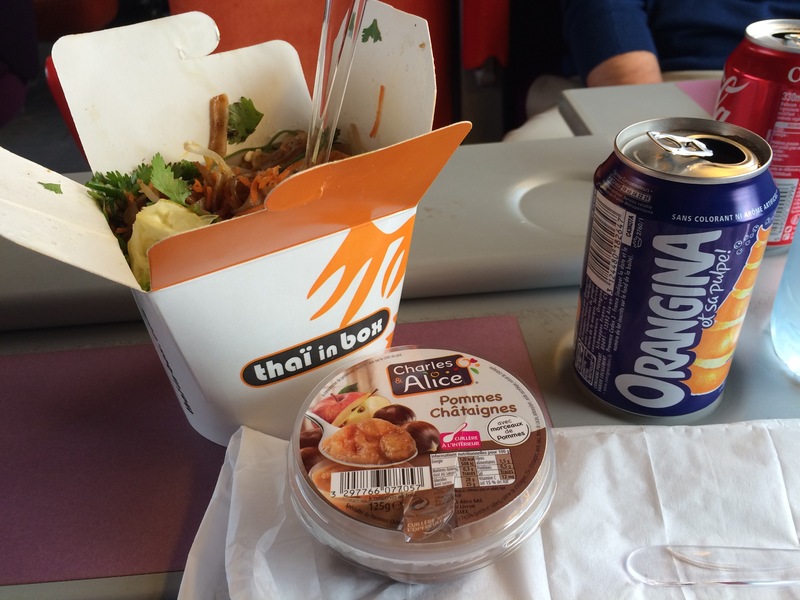 I dined on thai food, Orangina soda (not super sweet) and a container of apple/chestnut sauce. 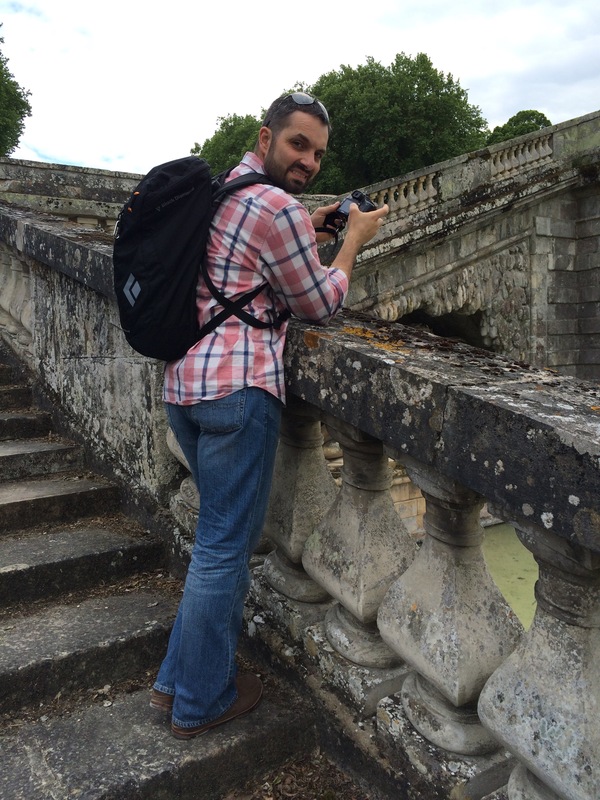 Outside of Paris, we stayed in our first (in like four or five trips!) 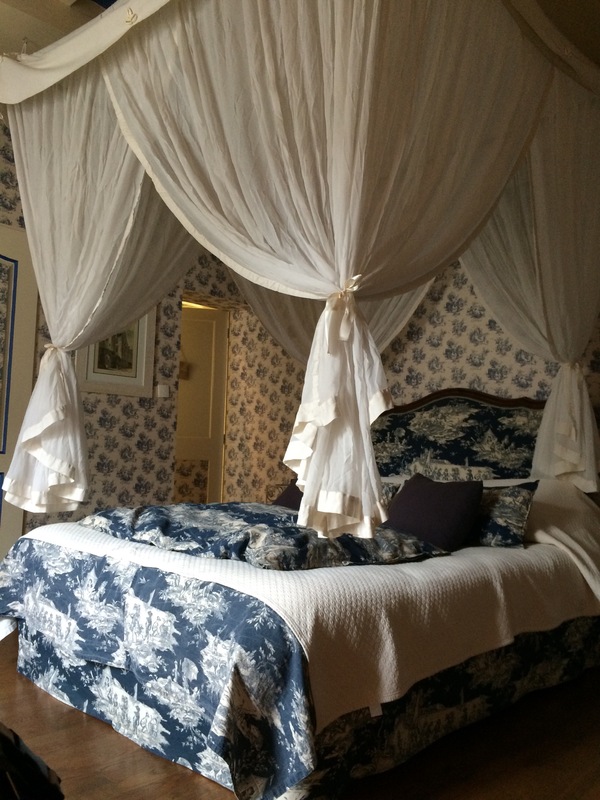 actual ‘hotel’ in Europe. 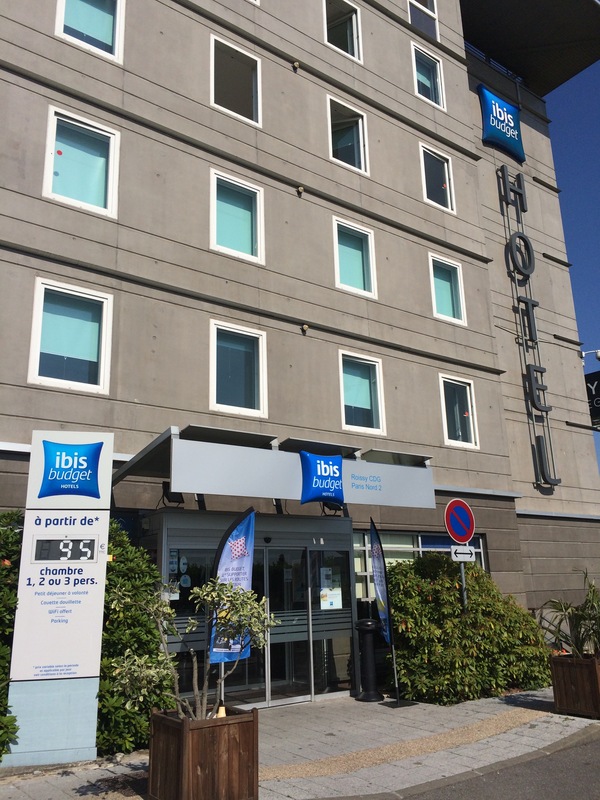 Ibis is a chain of discount hotels (similar to a Super 8 here) and we were astounded at the austere amenities, but all we really needed was a bed, a bathroom and the included breakfast was nice. 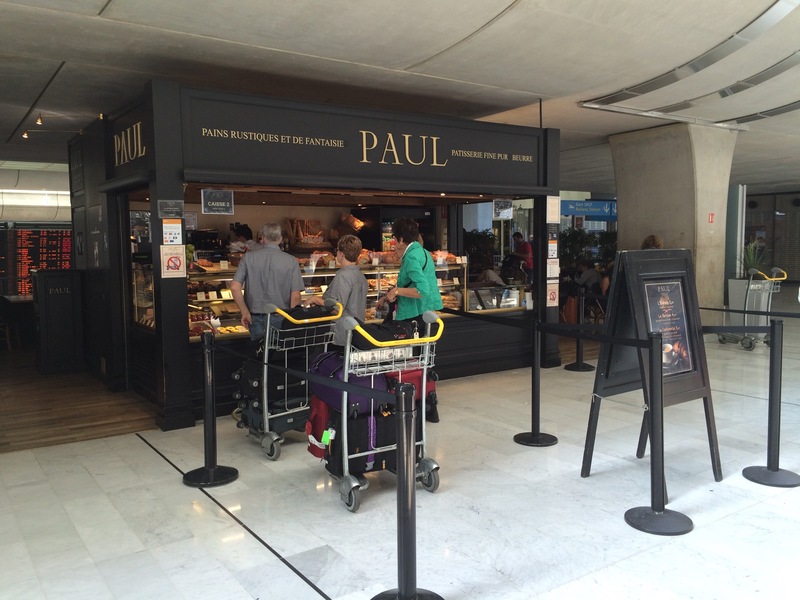 The next morning, as we arrived at the airport and approached the exact same Cafe Paul at which we grabbed coffee and sweets upon arriving a month earlier, I was incredibly emotional. We’d just spent an enormously long amount of time together, on vacation, somewhere we truly love. I’m almost embarrassed to say I shed tears, but I did. The thought of leaving all of this behind made me so sad, but I take comfort in knowing this wasn’t my last visit to our beloved France.